Under the wing of Anson VH-BLF (maggy work!) at Taroom Q. in 1960. 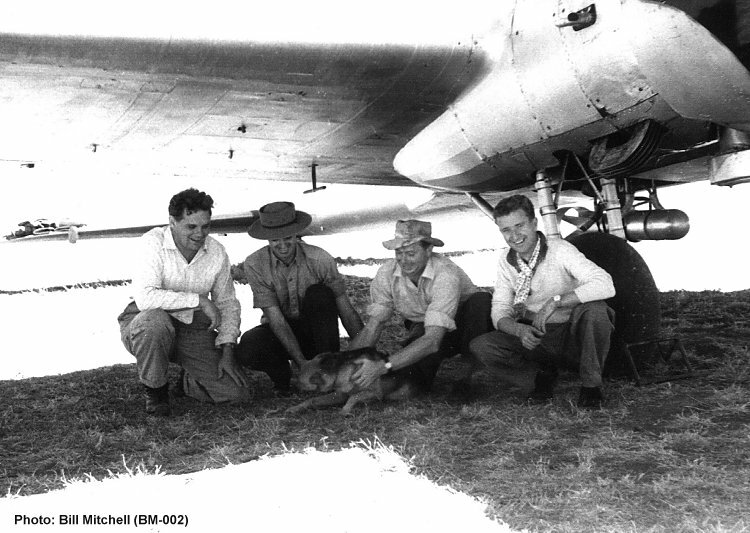 From left: Maurie Miller technician, Bob Rennick navigator, Fang, Bill Mitchell engineer and George Smee pilot.